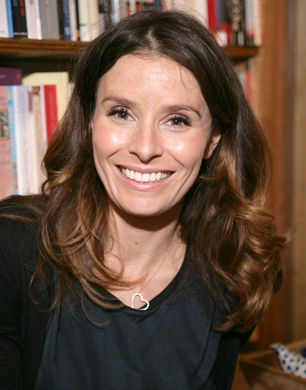 We caught up with Tana Ramsay to discuss her latest project – All About The Girl Salon in london. to her name, is a presenter on UKTV Food’s Market Kitchen, was named celebrity mum of the year back in 2010 and now has opened a salon for the busy modern woman in London. Is there anything this talented mum can’t do? 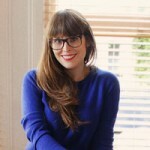 We caught up with her to find out her top tips for life as a busy mum. How do you manage to juggle such a successful and busy career with motherhood? Any top tips? I think that is a question that all mothers struggle with – but trying to be as organised as I can really helps. Now the children are a little older I encourage them be independent with their organisation, and as a result I am not constantly running around after school bags and sports kits. You’ve recently opened the All About The Girl salon in London. It looks great. What inspired you to open it? Having lived in Wandsworth for 10 years, I felt that there was a gap in the local market for somewhere that offered ‘everything under one roof’. Customers can have anything from a relaxing hour and a half massage or a quick eyebrow tint or blow dry. I wanted to offer a full range of treatments that fit into busy lives – from the gorgeous indulgent massage to the speedy wax it’s all about the girl! How do you like to pamper yourself when you have some ‘me-time’? I love having a relaxing bath and a Lycon body scrub, covering my hair in Morrocan Oil’s rehydrating mask, and wrapping it in cling film. After that I massage oil into my cuticles & nails, then cover my hands in moisturiser – and finally put gloves on. I look quite funny, but it really re-hydrates everything and leaves my skin and hair glowing. The spa is based in London’s ‘Nappy Valley’ on Northcote Road, what shops, restaurants, etc do you like to visit there? What places are great for both you and the kids? We are so lucky that the Northcote Road is full of great shops and restaurants, there really is something for all of us. For a treat the kids love having a gelato at Odono’s which has just opened, I love having a peek at all the gift and clothes shops, which are brilliant for last minute presents. Food-wise the kids really enjoy going to Byron. What are your favourite beauty brands? There are so many wonderful brands on the market, but I particularly love the ones that we have at All About the Girl – Decleor, Cowshed, Mama Mio and Skinceuticals skincare ranges ensure that we have something to appeal to all ladies whatever their specific needs or time of life. Any top tips for getting ready when you’ve only got a minute in the morning? Are there any hero products you swear by? I love the Skinceuticals range, it has made a huge difference to my skin – and now that I am getting older I know that I need to be more regimented in how I look after it. I love the Lycon “Fake Bake” which is perfect for self -tanning and Moroccan Oil which is wonderful at taming the ever present frizz. What are your favourite designer and high street designers? Top Shop is my favourite high street store– I can always find something for any occasion and it also means I can shop with my daughters too. Finding something for a special occasion can be tricky, but I will always treasure my Louboutin shoes which never fail to make me feel glamorous. Your husband is one of the world’s most famous chefs, but we’ve heard you do all the cooking at home. What’s your failsafe dish the whole family enjoy? As I am sure is the same in many households our failsafe family favourite is spaghetti bolognaise. Was it tricky getting your children to eat well? Any top tips to get kids to eat their greens? Not really, as having had four kids in three years, I was generally too tired to tolerate fussiness. I did use to give them the “hidden vegetable” bolognaise option though, which was a brilliant way to add a whole selection of veg to a meal – usually undetected. With a successful career and a big family you must be very organised. Any hidden secrets of keeping on top of it all? No – sadly not, but if anyone has any suggestions let me know , as I am rarely “on top of it all”. Are there any mums out there that really inspire you? I couldn’t pin point one in particular, all mums inspire me, I never cease to be amazed by all the things that we have to juggle and our multi-tasking skills are second to none. Any top tips for mums who aren’t confident cooks? Don’t be afraid to make mistakes and don’t be afraid to use timesaving options. What could you never travel without? Any beauty tips for looking fresh after a long flight? I could never travel without Marmite because I love it! As soon as I get onto a flight I remove all my make-up and moisturise, make sure I keep hydrated throughout the flight – and just before landing put on a tinted moisturiser, a quick coat of mascara and a little lip gloss – quick and easy! Did your skin, and subsequently your beauty regime change throughout or after having each of your children? I struggled with pigmentation issues after having my children – pregnancy can play havoc with your skin, so it is important to make sure that you adapt your skincare routine to those changes as/when they happen. All About the Girl, 141 Northcote Road, SW11 6PX (020 7135 3577 or allaboutthegirl.info).